Ukrainian President Petro Poroshenko has announced the closure of his official pages on Russian social media sites and urged Ukrainians to quit Russian servers for security reasons. "Ukrainian internet providers should stop providing access to VK, Odnoklassniki, Yandex and other Russian servers. All of the president's official pages on these servers will be closed. 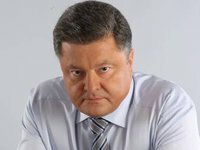 I am urging all of my fellow citizens to immediately withdraw from Russian servers for security reasons," a statement posted on Poroshenko's VK page says. "The hybrid war requires adequate responses to challenges," Poroshenko said. "So for the purpose of countering opponents and countering propaganda, my team used pages on several Russian social networking sites," Poroshenko said. "Massive Russian cyber attacks worldwide, in particular, the recent interference in the French election campaign, show that the time has come to act differently and more decisively," Poroshenko said. The VK pictogram has been removed from the Ukrainian president's official site. All of his official pages and accounts on Facebook, Twitter, Instagram and Youtube remain in place, the Ukrainian president said.